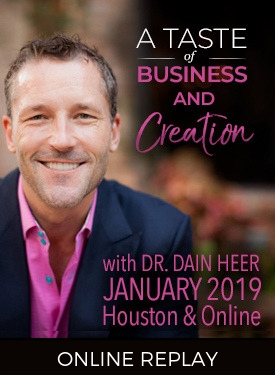 Welcome to A Taste of Business & Creation with Dr. Dain Heer! Recorded during the first night of the first ever Access Bars Facilitator Training, Dr. Dain Heer gives a spectacular evening on creation, being an invitation, and business from a totally different perspective. What is A Taste of Business & Creation? Where we put our energy today is what creates our future. Have you been asking what else is required to create the future you know is possible? Well jump in and receive! People will come from miles around to watch somebody shine with enthusiasm.